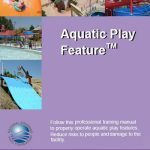 This training program is a must for everyone who operates aquatic play-feature facilities. The Aquatic Play Feature program utilizes a full-color, illustrated handbook along with an online training course to maximize your learning experience. This includes online training and a handbook. THIS ITEM IS NON-REFUNDABLE. What makes aquatic play features different for the pool operator? If I operate my aquatic facility by applying the same rules used for a traditional swimming pool, why dont things work as anticipated? What makes aquatic play features more challenging for the pool operator? 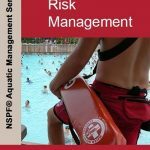 There are many factors which may complicate the process of maintaining aquatic play features and now theres a training resource available to help operators! 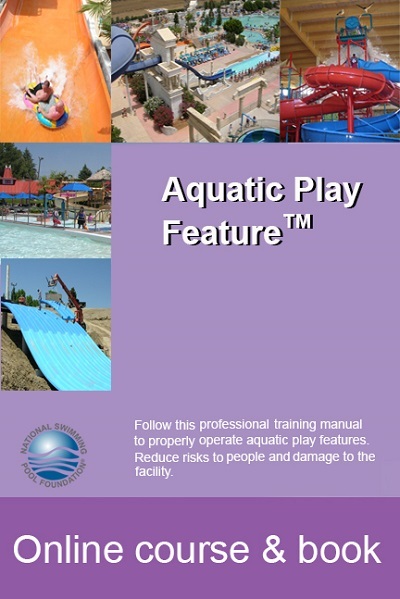 This training program is a must for everyone who operates aquatic play-feature facilities. The Aquatic Play Feature program utilizes a full-color, illustrated handbook along with an online training course to maximize your learning experience. Topics Covered Include: How to deal with cloudy water, Excessively high make-up water bills, High sanitizer/oxidizer consumption, Very short filter runs, Maintaining automated control systems, Management of water and of water chemistry, Chlorine and chemical addition issues, Filtration and circulation concerns, Play feature operational considerations, Usage of chloramines and stabilizers and more! REFUND POLICY is as follows. For CPO Services, a refund will be given prior to 14 days of the class less a $35 cancellation fee and a 5 percent credit card charge. No refund will be given in the two week period before the start of the class. For products, refunds will be given on unopened returned merchandise within 30 days of purchase minus a 15 percent restocking. Shipping fees are not refundable. This items comes with an online training code. ONLINE TRAINING IS NON-REFUNDABLE.